Vancouver and Lower Mainland house and condominium inspection services. Ron Sheldrake is certified by ASTTBC, licenced by the Province of B.C., and has a lifetime of trades experience. Why a renovation or construction inspection? 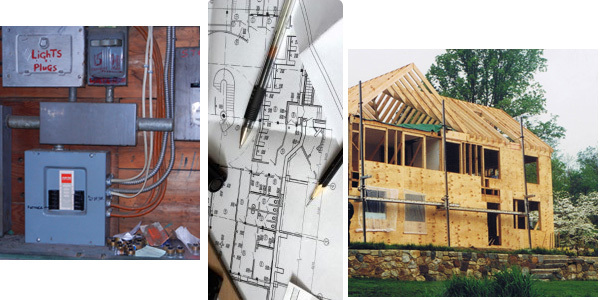 Are you planning or starting a renovation? In the middle of one? Building a new house? Are your contractors doing a good job? Do things look good, but you need a second opinion for your peace of mind? Are the trades all following best practices? Is minimun code adequate for your needs? These are all valid questions that may arise during renovations or construction. Building, rebuilding, adding on, or renovation of your home is a very expensive undertaking. You need to be sure that your hard earned money is not being wasted, or inefficiently used by someone you've hired to complete work on your home. Having an experienced, knowledgable person that can check on progress, ensure building codes are being followed, and can offer a professional, non- confrontational second opinion, is invaluable in getting your project completed on time, and on budget. You will be assured that costly errors and delays will be avoided. Think of it as a low cost insurance policy. Call us today for a no-obligation consultation, and see if we can save you time, money and grief.